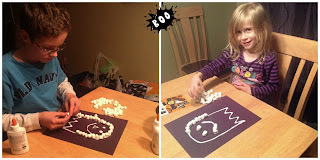 To start we used the glue to make the outline of a ghost on the paper and then the kids added in features they wanted such as eyes, nose and mouth. Then simply start sticking the marshmallows to the glue. And every once in awhile eat one, this step was a must according to the kids! 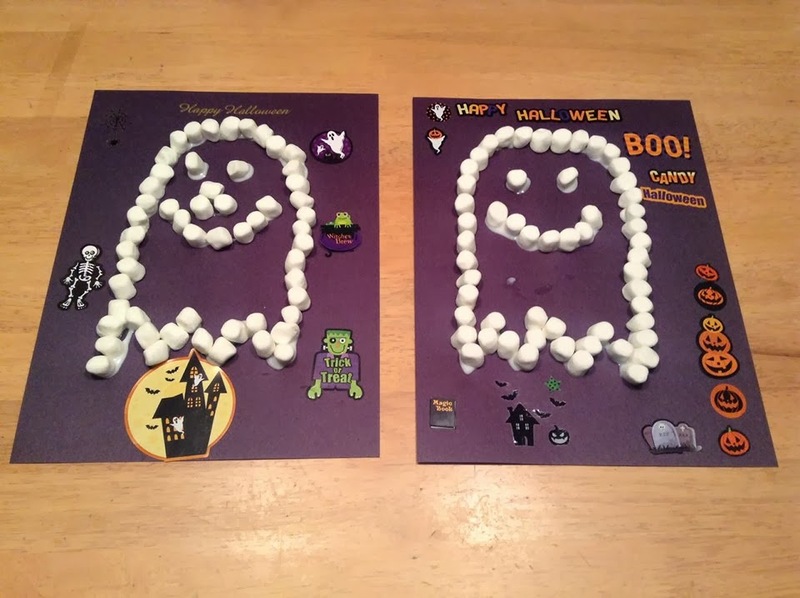 As mentioned we added some some rub on transfers and stickers, but the ghosts would be spooky enough on their own too! 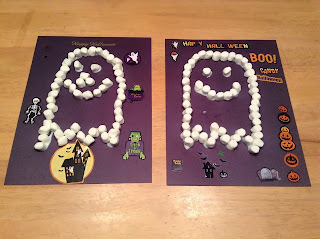 So cute and what a great way to use up stale marshmallows! This is so cute! I'll try this with ghosts AND snowmen! Ha ha! Now I would just have to keep my youngest from eating the marshmellows! 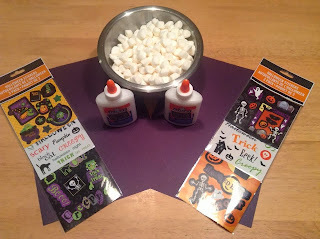 This looks like a cute craft idea for kids. I like that eating the marshmallows is an actual step according to your kids.